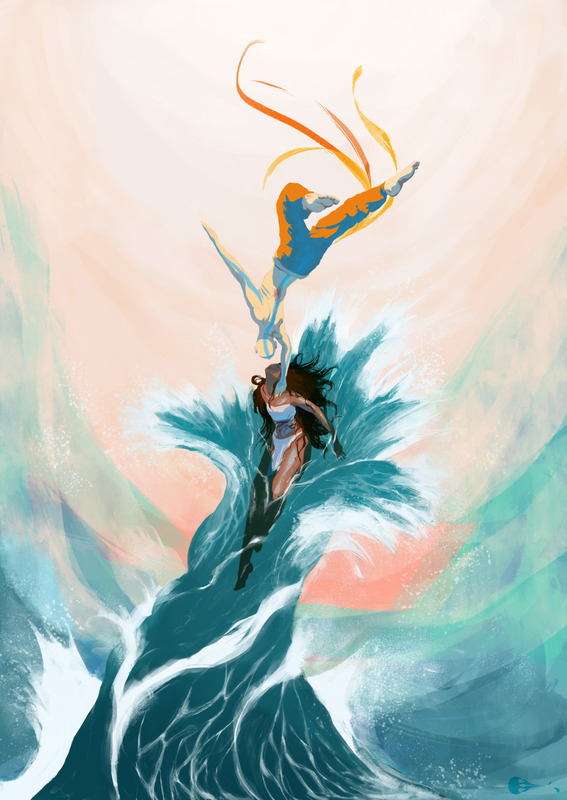 Where Water and Air Meet (Kataang). . HD Wallpaper and background images in the Avatar: The Last Airbender club tagged: avatar the last airbender aang katara. This Avatar: The Last Airbender fan art might contain سائن ان کریں, پوسٹر, متن, چاکبورڈ, نشانی, تختۂ چاک, گلدستے, سے corsage, میں posy, nosegay, بکی, کورساج, گلدستہ, and نوسیگی.